I married the love of my life on August 1st, 2015. 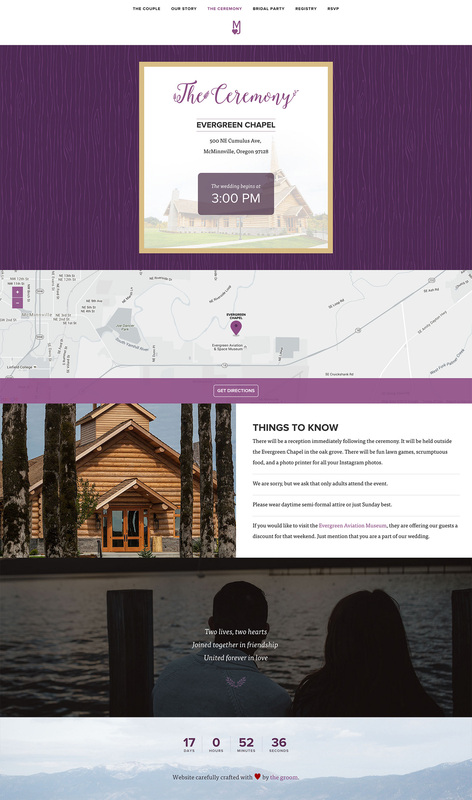 I had the privilege to work on the identity and website for the wedding, and it wasn't easy. It is hard to design when you are the client. You are your own worst critic. We wanted to take people down memory lane and tell them our story. 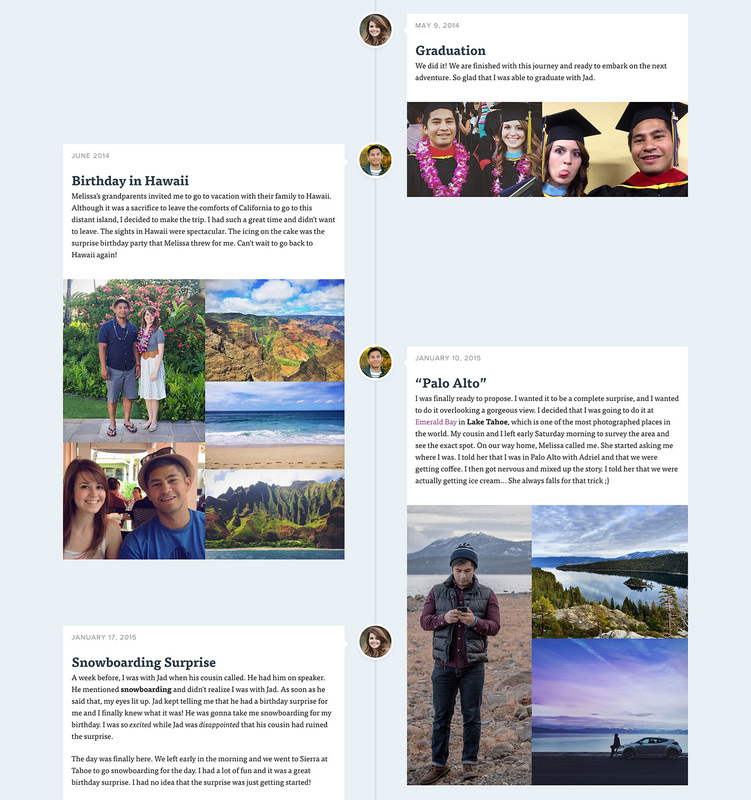 I created a custom timeline that was both informative and enjoyable to read. Most of our guests said they really enjoyed reading this page. I had a lot of fun designing this website. The site is fully responsive and looks good on any device. I included a custom Google maps integration and a countdown timer to let our guests know that the wedding was coming soon. 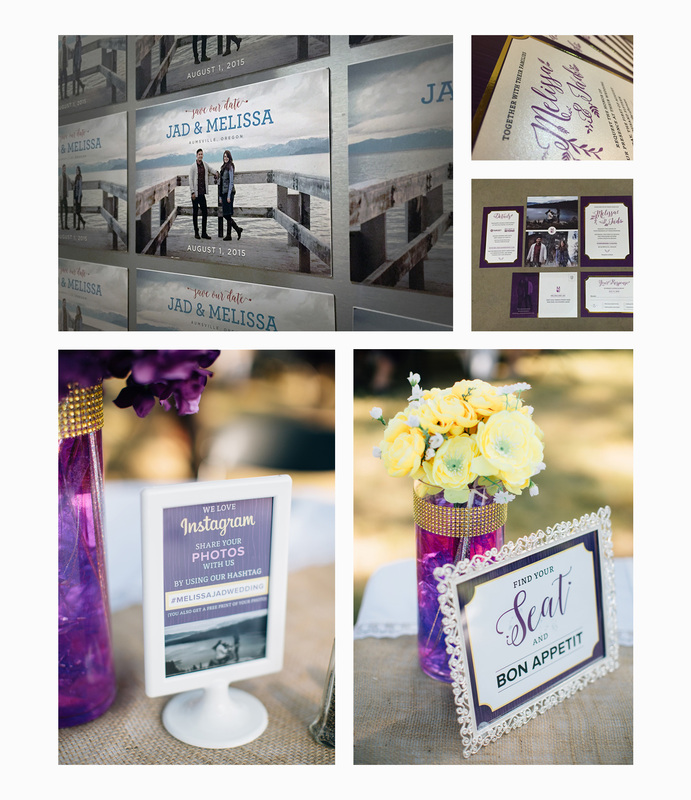 I also pulled in photos from our Instagram wedding hashtag to show family and friends some photos of our wedding planning and what they should expect when they came to the wedding. In addition to the website, I also created various printed materials for the wedding. For our Save the Date cards, we decided to order magnets so our guests can stick it on their refrigerator and be reminded of our wedding. I created the whole invitation set, and had it printed with gold foil stamp. I also designed all the table cards and other printed table decorations.